In this day and age of fast phase world we sometimes tend to rely instant food that will suffice our always hungry tummy. 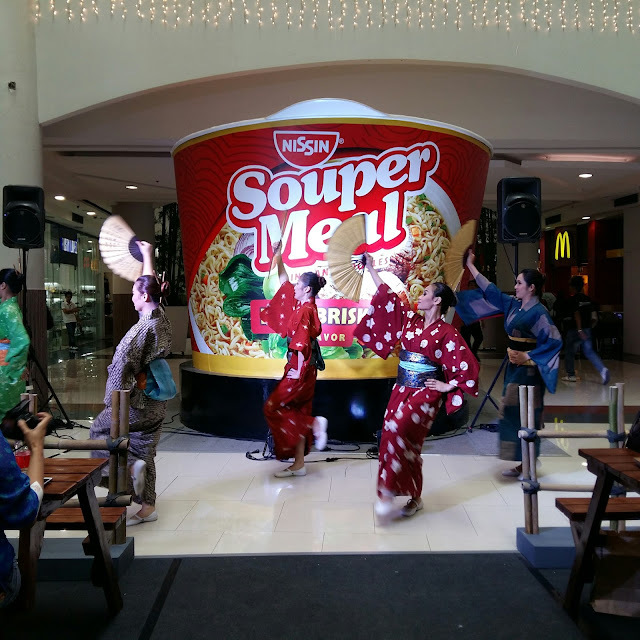 Good news for all of us - go-getters - is that Nissin-Universal Robina Corporation (NURC) launched the Nissin Souper Meal, through its Japanese-themed noodle festival, Nissin Souper Food Trip held at Robinsons Manila last last week. 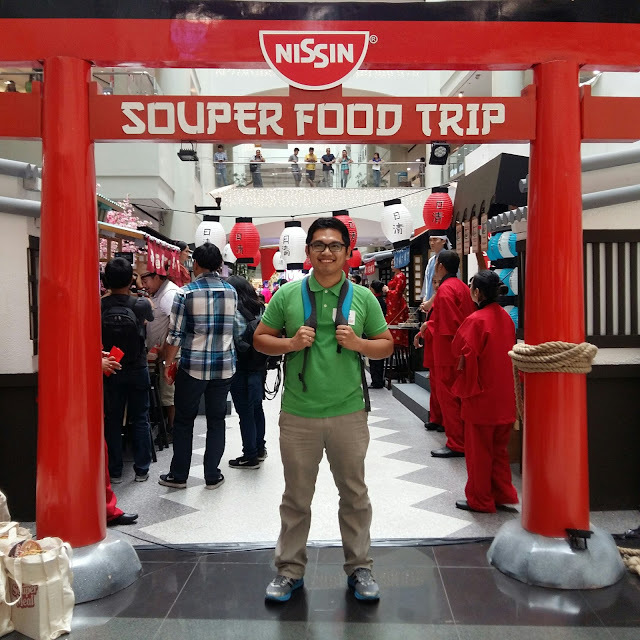 I was invited in the Nissin Souper Meal Food Trip held at Robinson’s Place Ermita, Manila. 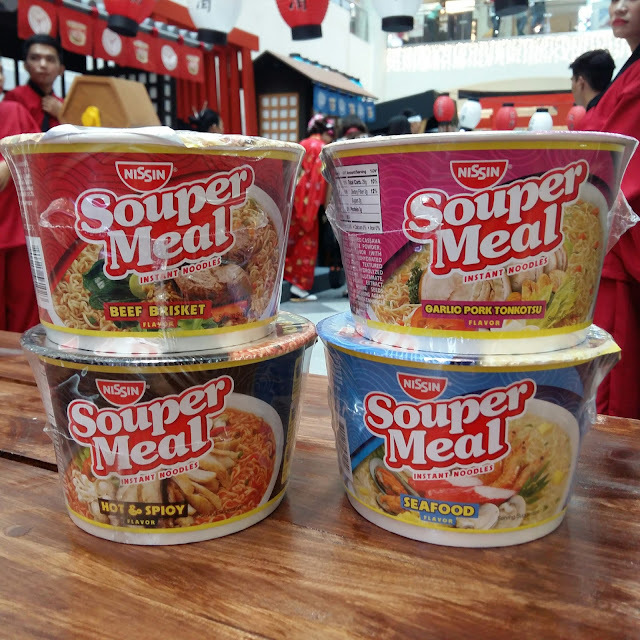 They featured a food alley that showcased the four new flavors of the Nissin Souper Meal. The alley also featured Japan's cultural icons such as the cherry blossom, the lantern festival, the Zen garden, and the torii. Each guest were able to taste the four flavors of the Nissin Souper Meal in each of the Japanese inspired stalls. 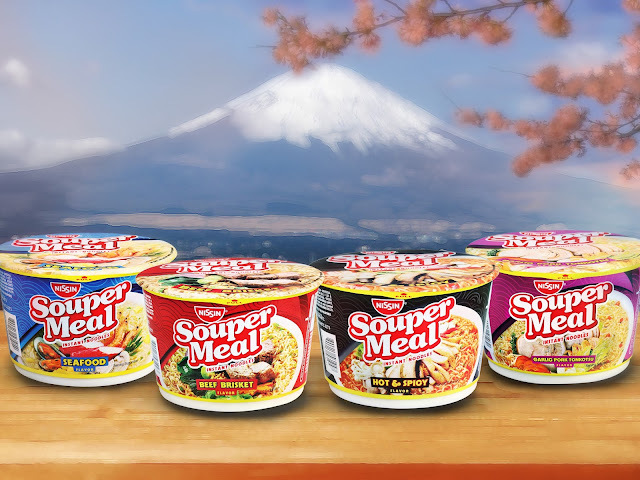 The first flavor that I've tried is the universal favorite Nissin Souper Meal Seafood, which offers deep sea delight in a hefty serving. 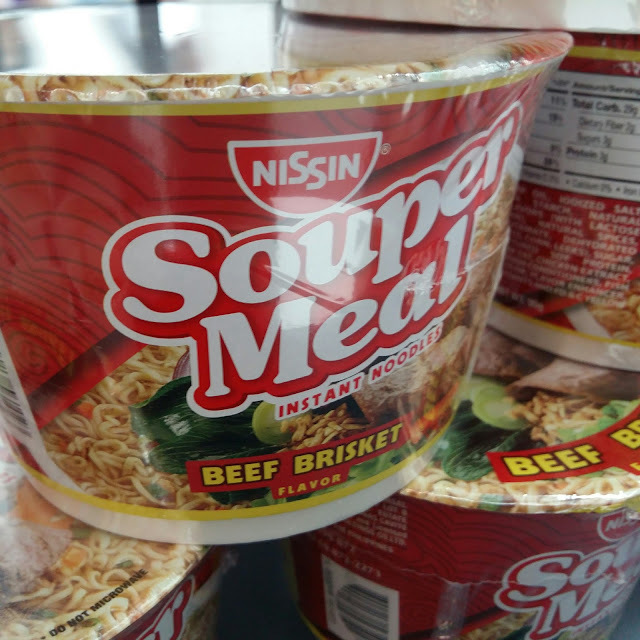 Second is the Nissin Souper Meal Beef Brisket which is sure to tickle your taste buds with its rich Chinese-inspired beef broth. Actually this is my favorite flavor of the four. Apart from being a twist, its taste is very savory yet minimal with rich beef flavor. For those who are adventurous and likes spicy food there is also Nissin Souper Meal Hot & Spicy treat. This noodle soup is a rich combination of chicken and mushroom flavors to complement the intense level of spiciness. Lastly on the list is the exciting Nissin Souper Meal’s Garlic Pork Tonkotsu flavor. This is Nissin’s first-ever pork-based variant in a mouth-watering pork and garlic broth, providing a perfect explosion of ingredients. 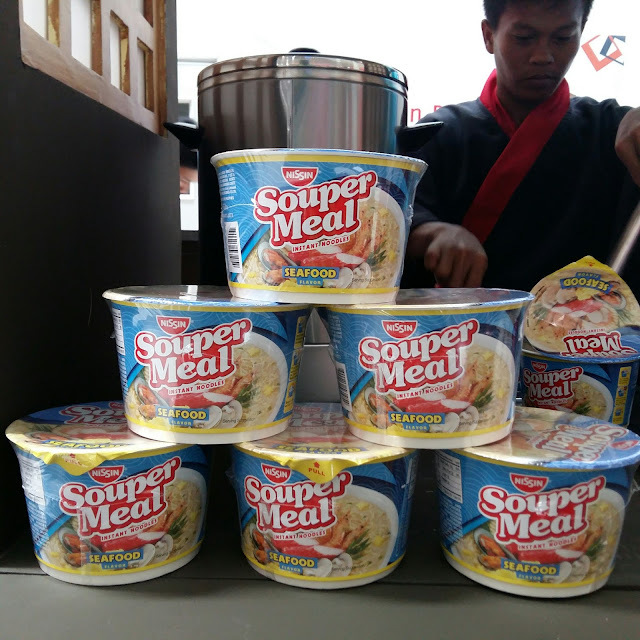 With Nissin being the leading instant cup noodle brand in the country, Nissin Souper Meal delivers superior convenience and ease in preparation as well. Combining appetizingly rich Japanese noodles, vegetables and meat bits with special soup flavors that are ready in an instant, Nissin Souper Meal is truly a souper sarap big bowl of goodness for today’s go-getters. One of the highlight of the event is the giant bowl of Nissin Souper Meal. 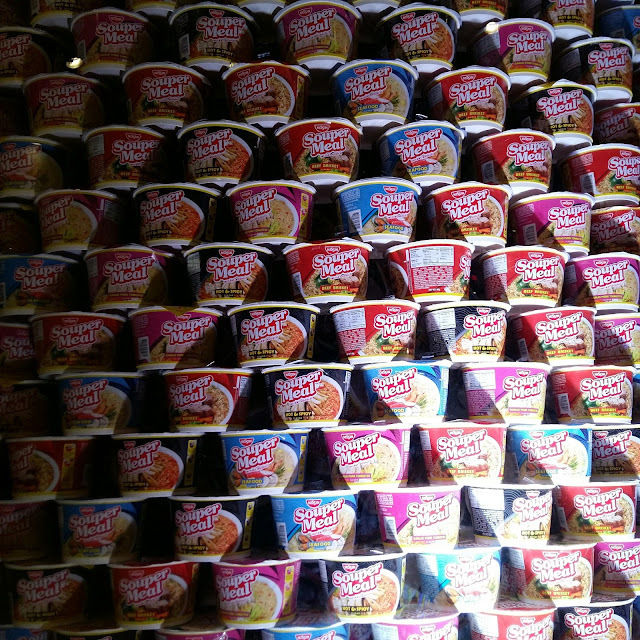 Each guest were challenged to guess how many pieces of Nissin Souper Meal are inside. Its hard to guess but exciting prices awaits for the one who can guess the exact number or the nearest guessed number. 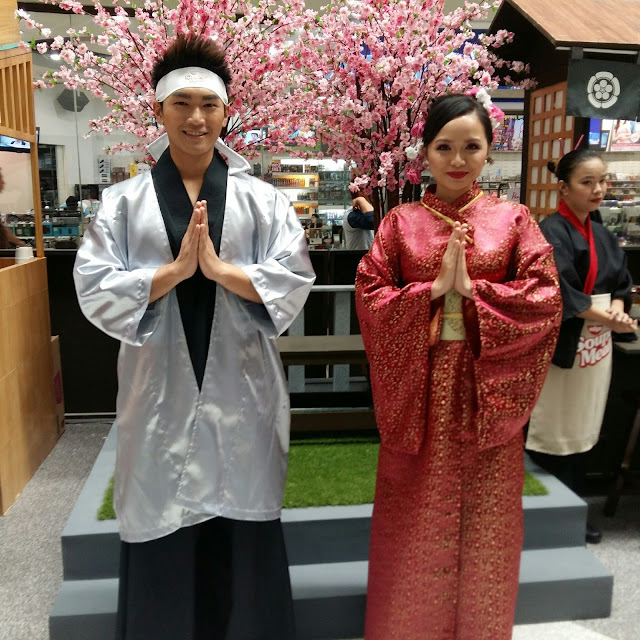 Later after the event they also opened the event to the public so that more people can try how life is good with these new Nissin products.